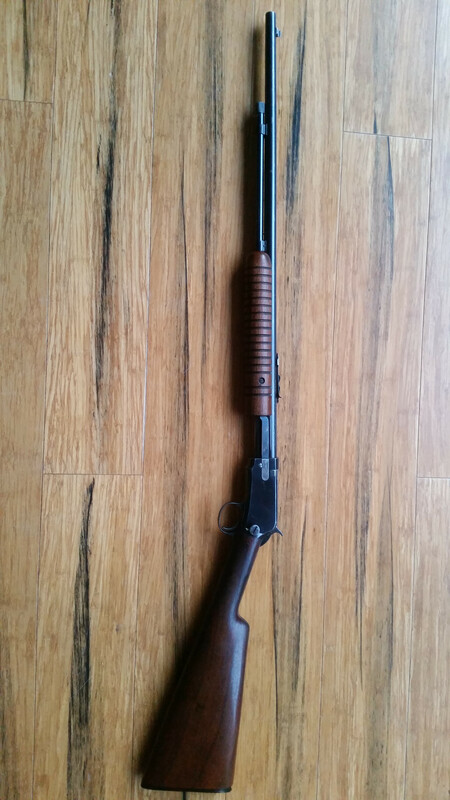 I just purchased this winchester 94. Serial number shows production in late 41 is this correct? Very good condition overall. Does have a peep site installed. Question is this model and production year very collectible/valuable? Late in the year 1941. All pre-WW II Model 94 Winchesters are collectable if they are in original condition. The better the graded condition, the higher the value goes. Winchester drilled & tapped the upper tang for a tang sight right up to June 1942. The tang sight will add some value, depending on which type it is. The "W" marking was discontinued in February 1941, in the 1267400 serial number range. Oddly enough, I just received a '94 SRC 30-30, serial# 1249603, made in 1940. Probably 75% condition based on receiver bottom edge wear. Great bore. It does have the " W ". No tang sight, no saddle ring. What's the story on the "W" ? When started and was it model specific ? Your Model 94 serial number 1249603 is not a "SRC", nor is it an Eastern Carbine. As listed in the catalogs, it is a standard "Sporting Carbine". Based on my extensive research surveys, Winchester used the "W" marking from February 1939 - February 1941. It was used as a quality control check for the new Dulite bluing formula that Winchester began using in the late 1930s. The "W" mark is not model specific. Thus far, I have documented its use on the following Models; 12, 55, 63, 64, 65, 94, and 97. It was not used on the Models 70 & 71. It is always found marked on the bottom of the receiver below the serial number. For the Models 55, 64, and 94 (which shared the same serial number sequence), the serial range in which I have documented it use is 1203590 - 1267492 (2/28/1939 - 2/17/1941). In that serial range, I have verified (336) guns with the "W" mark stamped on the bottom of the receiver frame, versus just (12) that were not marked. For the Models 55, 64, and 94 (which shared the same serial number sequence), the serial range in which I have documented it use is 1203590 - 1267492 2/28/1939 - 2/17/1941. In that serial range, I have verified (336) guns with the "W" mark stamped on the bottom of the receiver frame, versus just (12) that were not marked. I do have it. Thanks. I have seen the W on at least one model 42 and maybe more. I recall reading in one of the books that the W indicated rework in the blueing process for the 42. Does that seem correct and does it mean the same for all the other models? 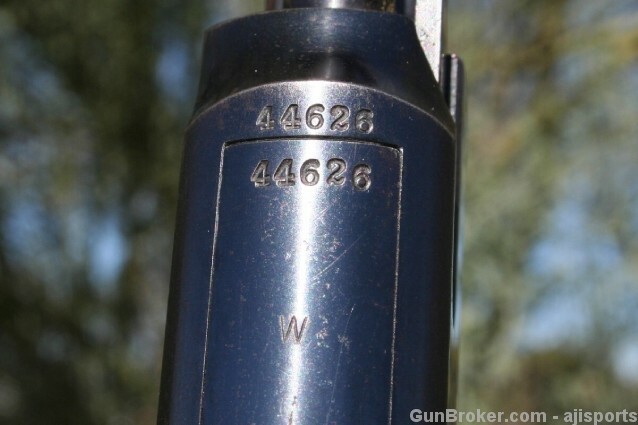 Come to think of it, I too have seen one or two Model 42 shotguns with the "W" mark. I am very strongly of the opinion that it does not indicate "rework in the bluing process". As I mentioned in a previous reply, it was used for a 24-month period of time as a quality control check for the bluing. 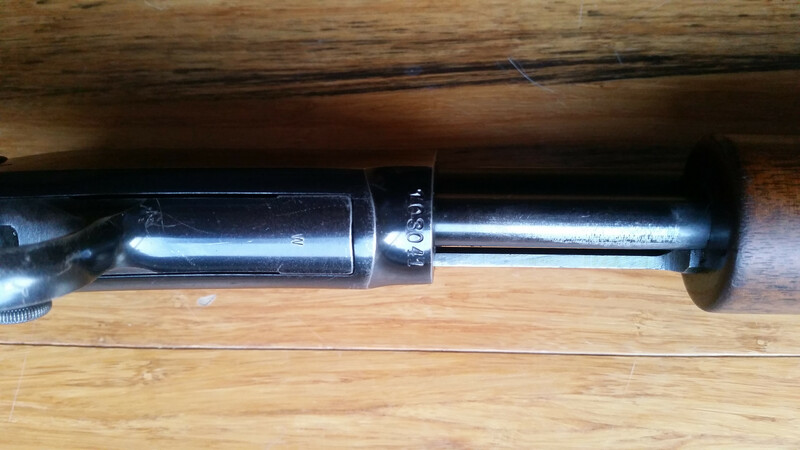 The Model 61 slide action .22 caliber rifles are also marked with the "W" stamp below the serial numbers. 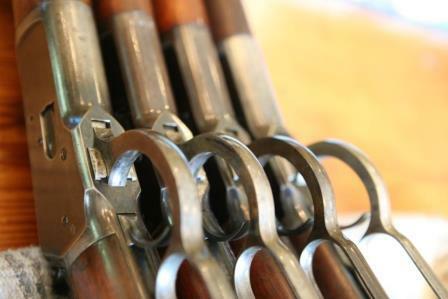 Rifles which were produced starting in 1939 until early 1941 are marked as such. 12, 42, 55, 61, 63, 64, 65, 94, and 97. I suspect that the Model 62A was also marked with it as well. I have a model#94 with a w on it, serial#1215831 do you have mine documented? I do not... yet. Is it a 32 WS ? I'm not 100% sure since I just inherited it from my grandfather, but based on pictures I've looked at I believe it is, ill take a few pictures in the morning. Bert H. Im not sure how to upload pictures to this forum but I'm 99% sure its a MDL#94 32WS you can email me at jons325is52@gmail.com I can send you pictures that way. I sent an email message to you. G'day Bert. I have a nice 62A made in 1940 that has the W stamp on the receiver, serial 103041.